Save time and skip the dough! 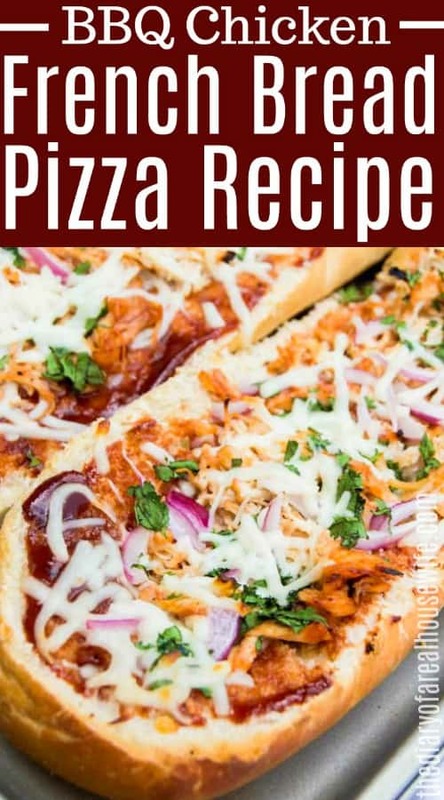 This easy BBQ Chicken French Bread Pizza is so simple to make and piled high with bbq chicken, red onions, and mozzarella cheese. Its the perfect pizza night option! Preheat oven to 400 degrees F. Slice your French bread in half long way. Mix shredded cooked chicken with 1/4 cup BBQ sauce. Top your bread with the remaining spread evenly. Add more BBQ sauce as needed to taste. 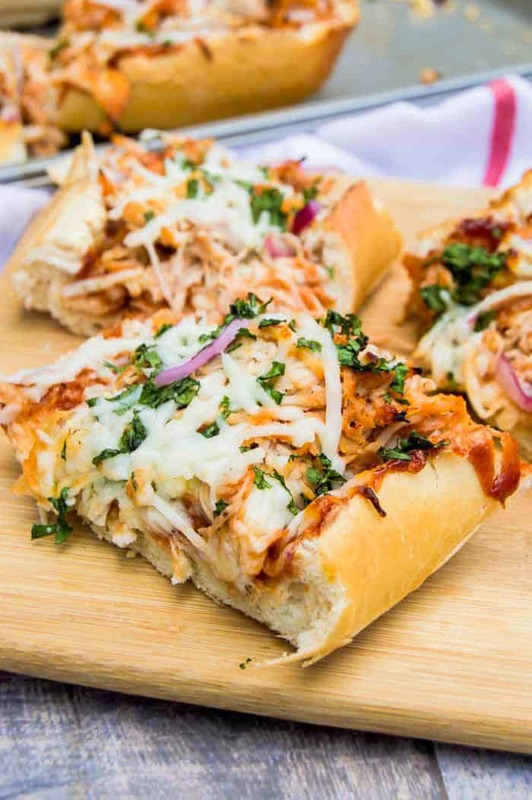 Top your french bread with shredded chicken, mozzarella cheese, red onion, and bake for 10-15 minutes or until your cheese has melted. Once cooked topped with cilantro. If you plan on making several different recipes that call for cooked and shredded chicken like this one does then make it all at once. 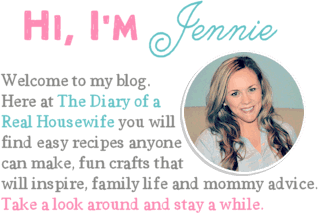 Check out my recipe for All-Purpose Slow Cooker Chicken. 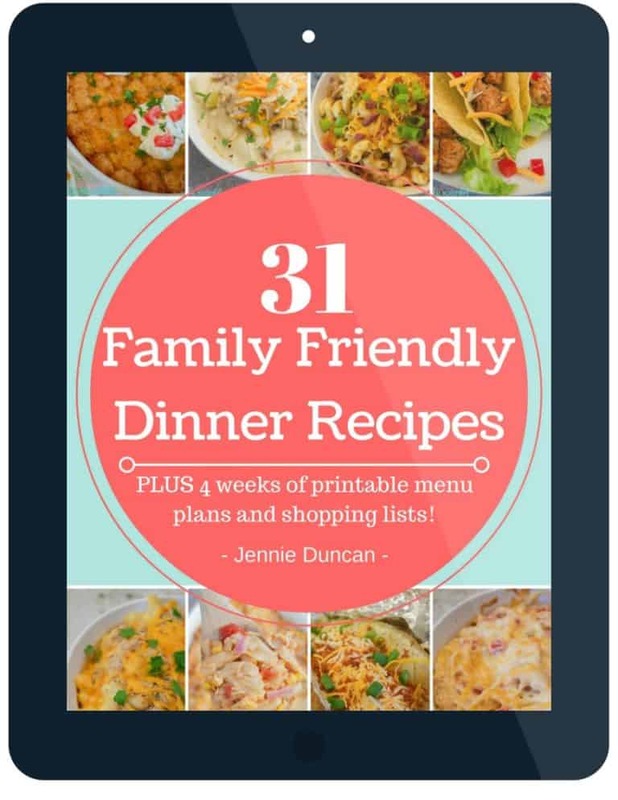 Make it all once then store in the fridge for easy meals. 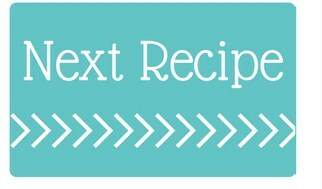 You can use it on this pizza, in soups, on salads, and in casseroles. Slow Cooker Pulled BBQ Chicken: This Slow Cooker Pulled BBQ Chicken is a simple and easy recipe that can be topped on a sandwich or tossed in with a salad. Baked BBQ Chicken Legs: These Baked BBQ Chicken Drumsticks look and taste like they came right off the grill! BBQ Chicken Quesadillas: I love trying new flavors on classic recipes and this BBQ Chicken Quesadilla is one of my favorites. Preheat oven to 400 degrees F. Slice your French bread in half long way. Mix shredded cooked chicken with 1/4 cup BBQ sauce. Top your bread with the remaining spread evenly. Add more BBQ sauce as needed to taste. 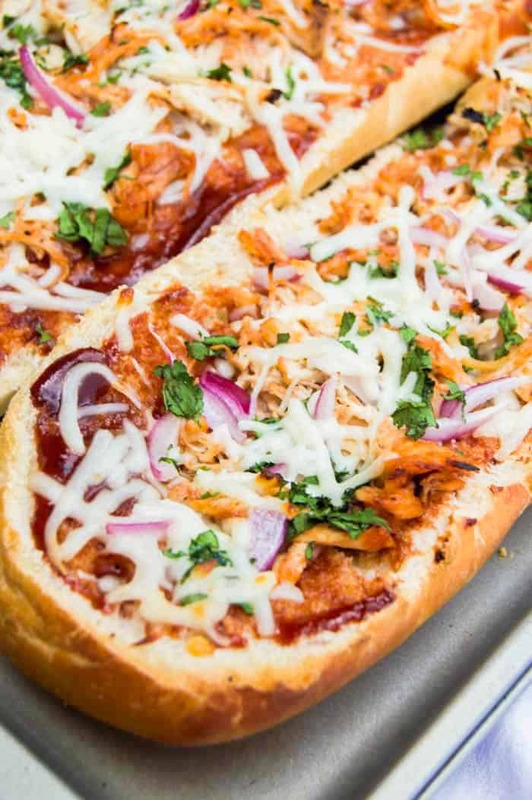 Top your french bread with shredded chicken, mozzarella cheese, red onion, and bake for 10-15 minutes or until your cheese has melted. Once cooked topped with cilantro.